My brother Jake and I had a discussion about different subjects considered unknown that he found interesting He talked about topics that I had not written about that he thought may be overlooked and not discussed as much as he thought they should be by people like me. Among the subjects Jake talked about where Then Men in Black and Shadow People. I will admit I have not gotten around to writing about those subjects and suggested Jake take a stab at doing a little writing of his own. The following is Jake's article concerning Shadow People. I became interested in Shadow People when I started to watch all the TV shows about ghosts as well as listening to those who claim they can communicate with the dead. Often they would talk on a side line note about seeing something that they would name a Shadow person, but would seem to simply leave that part of the show or investigation laying there like an old shoe they threw out of the way as they continued on with either the ghost hunt or communication with a passed spirit. I could not get over how easily this topic was brought up and as easily pushed aside and forgotten. A few times when questioned about what they were talking about when the object or star of one of these shows brought up Shadow People they would quickly gloss over it by saying they were not sure what they were but did fear them. In my mind that just is not good enough. 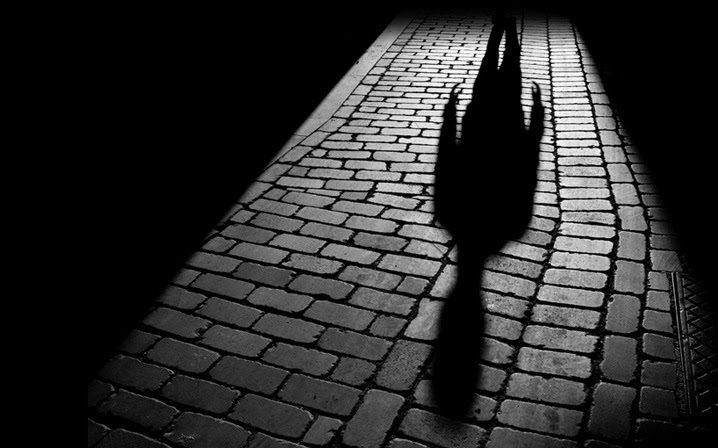 If they exist and if those who have seen them fear them I would think we all would want and need to know a great deal more about what Shadow People are and what we need to do if we encounter one. Are they dangerous? If so I want to know. I asked my sister for the names of the psychics she had interviewed over the years as well as what information she had to do with the subject of Shadow People. I also spoke to three people I found by way of mouth who claimed to have seen a Shadow person. I know this is not a huge amount of research however it is a start to figuring out what may be happening in the mystery of living people coming in contact visually with a Shadow Person. I was lucky when it came to my questioning the intuitive people about the Shadow People issue. Each one of them told me the same thing. Shadow People are not and never were living human beings and seem to be watching us for reasons no one understands. They also told me that they feared Shadow People, felt they were capable of hurting those they appeared to be watching and were basically evil. The people I talked with that saw Shadow People also told me they were terrified by them and felt they wanted to harm them. I was not shocked by this as one of the things that peaked my interest in this subject was a comment by Amy Allen of the Dead Files TV show. Amy talked about how she disliked the Shadow People and feared them as she claims they tried to kill her as a child. I wanted to know from that point on what they were and why they were here. My sister Chris told me that as far as she knew, from her time in the paranormal talking to those who deal with these things regularly, the Shadow People were both unexplained and dangerous. She told me that several highly respected ghost researchers told her they believed the Shadow People to be inter-dimensional beings. They thought they use the opportunity made way by open portals opened by those communicating with the dead to quickly enter our dimension. They felt once those portals are open Shadow People can somehow use them as hall ways to enter our space. Other people I spoke with had opinions about the Shadow People that include alien involvement. Before I go any further let me describe as has been described to me what a Shadow Person looks like. The most common description I have been given is of a man’s shadow all in solid black, no shades or different colors other than complete coal black. The creature is only in shadow form as if you are looking at a shadow on a building of a man walking by. 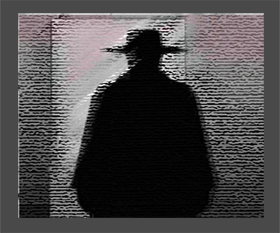 The Shadow man often appears to be dressed in an overcoat or raincoat wearing a classic fedora style hat. Other people describe them simply as a shadow of a man without features. I have heard people tell me that they often find Shadow People around the same areas that hauntings are reported to be happening. That is why I feel they may use the opening or weakness between dimension’s that may exist when spirits pass through or keep open while active hauntings are going on to enter via using this open portal. It may be that in places where this activity is happening it makes it much easier for them to open a doorway from wherever they may come from to invade and explore our time and dimension. I am confused why Shadow People would try to harm us or even attempt to kill us unless they are somehow threatened by those they try to hurt. In the case of Amy Allen perhaps her extreme abilities to cross different realms of existence made her a threat and they attack those who they fear. Maybe they are just heartless soulless killers who are black in nature and heart as they are in appearance. This is something we need to figure out if they are going to continue to visit our time, our world and our dimension. I need to make a distinction here between the phenomenon of black mist that is also often seen at haunted areas and Shadow People. I do not think the shapeless mist that is encountered many times at haunted places is connected to or part of the Shadow People issue at all. I think that the black mist is indeed related to the spirit world. I also think it is negative and trying to form into something evil but does not belong to the Shadow People issue. I also think that with the correct cleansing and rituals that the black mist situation can be dissolved or removed from the locations they are trying to manifest. I do not think any of that is possible with the Shadow People situation. It seems they come and go as they please and do not think that our abilities are capable of dealing with them. In fact the only advice I was able to find concerning them was to remove yourself from where you see them and stay away from them. In asking those who have dealt with or happened to see a Shadow Person I also came to find that they are seen in different places. Haunted areas seem to attract the Shadow People as I already stated due to the fact it may be easier for them to enter by way of other things happening at the haunted areas. I have also been told of people witnessing Shadow People at grave yards, in wooded areas as well as in houses and building that were not considered haunted. I think in the case of the grave yards the same ease as other haunted areas applies making their portal easier to open and close. However other places that have had visits from Shadow People I think may simply be unfortunate to be located where the Shadow People are able to open the door from their world to ours and those located near these entrances are simply in the wrong place at the wrong time. Those with strong intuitive or sixth senses also may assist in some strange way making entering our dimension or time and space easier for them making the Shadow People seek out those with those abilities to enter our realm. 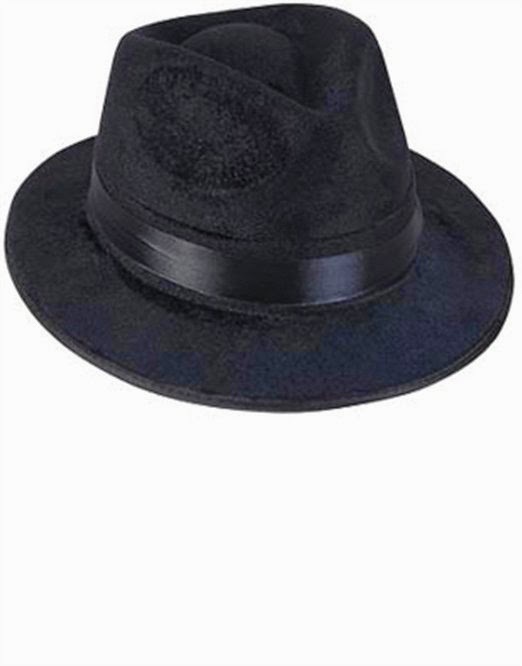 I cannot ignore the fact that the Shadow People have common ground in dress to The Men in Black. I heard one late night radio show where a call in guest suggested that the Shadow People are aliens who will manifest in to the Men in Black if they need to. I do think that this may be possible and both the Shadow People and the Men in Black are something we simply do not understand. For now I will think of them as watchers who we need to stay away from until we can find some way to figure out what all of these things are, where they come from and what they want from us here in our time on our earth living our human lives.